Sebastian van der Ploeg started TanQuid September 1st, 2014. As the Managing Director and member of the Executive Management Team he is responsible for Sales, HR, Legal & Compliance and Analytics. 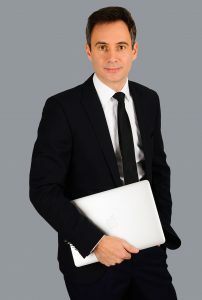 Before joining TanQuid he worked at a medium sized firm of lawyers, auditors and tax advisors for nine years. Responsible for consulting national and international companies. His specialist knowledge in all fields of economic and fiscal law coupled with excellent labour and tenancy law, transportation and freight forwarding law provide invaluable experience. After completing his law studies at Bochum he also obtained his Magister Legum (LL.M.) in economic and fiscal law. Christof Dalhoff started at TanQuid January 1st, 2006. He initially worked as civil engineer with the technical office in Hamburg, responsible for planning and investment management in several tank farms. 2010 Mr. Dalhoff became the tank farm manager at Hünxe. Besides operational tasks his focus was on the management of the pipeline operations and the storage of kerosene. 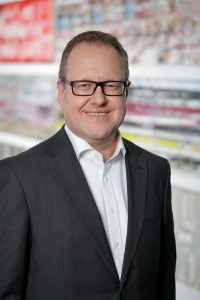 On September 1st, 2016 he joined the Executive Management Team as the Head of the Technical Office at TanQuids headquarters in Duisburg and from March 1st, 2017 he was appointed as Managing Director (COO), responsible for the divisions Terminals, Engineering and HSSE. Before joining TanQuid he finished his studies as engineer and worked in an engineering office spezialized in road and harbor construction in Hamburg, within the private and commercial sector. 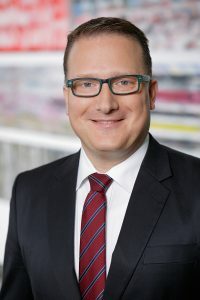 In 1993, Thomas joined Vereinigte Tanklager and Transportmittel GmbH as a commercial apprentice in Duisburg tank farm. After completing his apprenticeship he acted as the dispatcher at the terminal before he became the assistant to the terminal manager. During that time he was also responsible for the IT affairs of the Duisburg terminal and later for the whole tank storage department. He graduated in business studies at Duisburg Verwaltungs-und Wirtschaftsakademie during this period. With the spin-off of the tank farm business from LEHNKERING, Thomas became responsible for all IT affairs at TanQuid and for innovation management and digitalization since 2013. On 1st September he became a member of the Executive Management Team and is responsible for the recently created department of IT & Future Business. 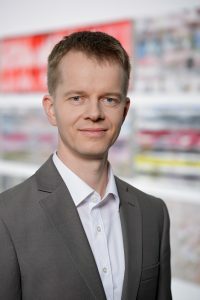 Markus Tudyka started at TanQuid on September 1, 2017 as the Head of Finance and member of the Executive Management Team. He has more than ten-year experience in M&A activities, refinancing projects, reporting, forecasting, budgeting, optimization of internal controlling and commercial processes – with specialized knowledge of US-GAAP, IFRS and highly skilled in HGB accounting. After completing his studies at University of Wismar in business administration (Diplom-Kaufmann) he also obtained his Executive MBA at Henley Business School (GB) in 2015.